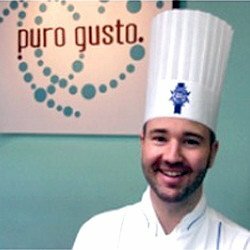 Le Grand Diplôme® is the core of the study plan of Le Cordon Bleu; it is the most complete program of French Classic Cuisine and Pastry techniques available today. Le Grand Diplôme® combines Cuisine Diploma and Pastry & Confectionery Diploma, each consists of 3 Certificates (Bases, Intermediate and Superior), those that provide to you the necessary skills to apply French culinary techniques to almost any type of cuisine in the world and develop your own creativity and artistic expression. The unique teaching methodology of Le Cordon Bleu combines demonstrations, followed by practical sessions. The demonstration classes are held in specially equipped rooms, allowing students to observe Chef techniques in detail. The practical classes are held in the kitchens of professional education, equipped with the highest standards. The number of students per class is limited to 16 people, this in order to ensure personal attention and to satisfy the individual training needs. The school provides all the ingredients to be used, which are top quality. Le Grand Diplôme® is awarded when the student has successfully completed the Cuisine and Pastry & Confectionery Diplomas. Students can register to both Diplomas at the same time. Even with previous professional experience, students must begin with the basic level before accessing the next level. .
All our classes are given in Spanish language. We have 3 School Cycles in the year: January, May and September. Le Cordon Bleu has taught me that you should not just stick with what Chefs teach you, you must innovate, be better every day and have a lot of creativity. 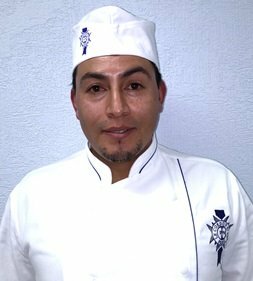 In Le Cordon Bleu Mexico, I rediscovered my interior cook. Gastronomy has opened a new chapter in my life, in it gave me the opportunity to know more about food, its preparation and the techniques behind each dish. LCB is an invitation to never give up. If you love cuisine and are willing to accept the challenge, it's an opportunity to grow and learn from the best. My main goal was to learn Pastry techniques. From the beginning, I liked the discipline, order and cleanliness that Le Cordon Bleu Master Chefs always required when cooked. 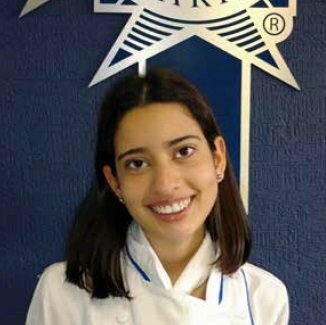 One of the added values that gave the alliance of Le Cordon Bleu - Anahuac was the teaching method based on the delicate individual work. Study in Le Cordon Bleu Mexico was the key to start my business of desserts, Mexican candy's, sugar decorations and cakes. Being at Le Cordon Bleu Mexico is like being in your second home. One of the best experiences of my life. You meet amazing people of all the world. 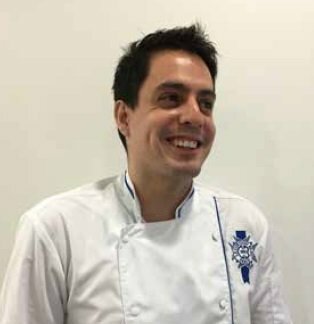 The experienced Master Chefs of Le Cordon Bleu have given me passion for gastronomy and how to be professional. No matter how much experience you have in a kitchen, this school will always be the best option. You learn all the cuisine and pastry bases and how to take full advantage of your products. I'm sure that Le Grand Diplôme will give me access to opportunities to start new business in the future. 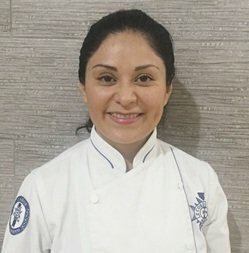 My passion for gastronomy brought me to this country, chasing the dream that many Chefs share, studying in the best cuisine school in the world; my experience at Le Cordon Bleu México has exceeded all expectations I had, even being a gastronomic professional you can keep learning, improving and polishing techniques and cooking processes that allow you to approach perfection. Professional success is my main goal and here have supported me to do so, with a team of excellent teachers, the best materials and a unique atmosphere, which certainly made me reaffirm to gastronomy as my true passion.